Ruckus ZoneFlex 7343 - ZoneFlex single-band (2.4 GHz) Entry-Level 802.11n Wireless Access Point, 8-element smart antenna, three ports (1GE + 2FE), PoE support. Does not include power adapter. This part is the international version for all countries besides USA and Israel. This part requires the purchase of WatchDog Support. The Ruckus ZoneFlex 7343 delivers high-performance and reliable 802.11n wireless networking at the industry"s most affordable price point. A sleek and low-profile design, the ZoneFlex 7343 was purpose-built for cost-minded enterprises requiring reliable high speed client connectivity. It is ideal for a variety of enterprise and hotspot environments including hotels, schools, retail outlets, branch offices and public venues. 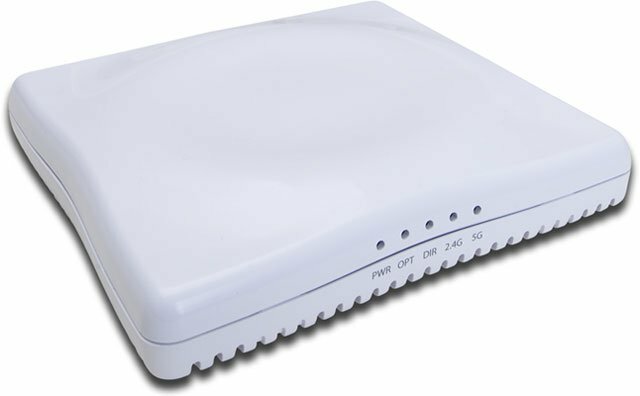 The Ruckus ZoneFlex 7343 can be deployed as a standalone access point or as part of the centrally-controlled Smart Wireless LAN with the ZoneFlex 7343. The ZoneFlex 7343 can also be easily deployed using Smart Mesh Networking to extend Wi-Fi services in locations where Ethernet cabling is not available or cost prohibitive. One 5GHz directional antenna, dual-polarized 12.5dBi gain and 120 degrees 3dBm beam width, including one dual plane adjustable wall/pole mounting kit and two 1m RF cables with N-Type connectors. One high gain directional antenna, dual-polarized 24.5dBi V gain/23.5dBi H gain and 7-9 degrees 3dBm beam width, including one dual plane adjustable wall/pole mounting kit and two 1m RF cables with N-Type connectors. One high gain directional antenna, dual-polarized 21DBi gain and 10degrees 3dBm beam width, including one dual plane adjustable wall/pole mounting kit and two 1m RF cables with N-Type connectors. One 5GHz Omnidirectional antenna, vertically polarized, 5.5dBi, direct attached to N-Type female connector. The Ruckus 901-7343-WW00 is also known as RUC-9017343WW00	or 9017343WW00	.